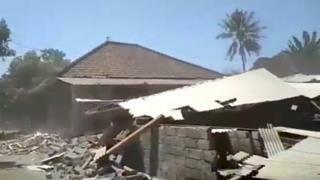 A magnitude 6.3 quake killed one person and wrecked homes near the town of Belanting on Sunday. It was felt in the east of the island, triggering landslides and sending people fleeing into the streets. Officials later reported a 7.0 tremor in the same area. There is no word on any casualties in that quake. The biggest quake in recent weeks – of 6.9 magnitude – killed more than 460 people on 5 August. 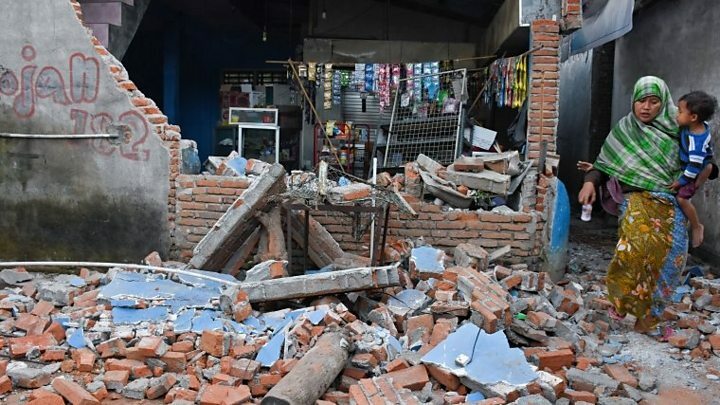 Sunday’s first quake, at a depth of 7.9km (4.9 miles), “caused people to panic and flee their homes”, national disaster agency spokesperson Sutopo Purwo Nugroho told local media. The second quake, south of Belanting, was recorded at a depth of 10km. Landslides hit a national park where hundreds of hikers had been trapped after the first quake.